In this Roland Keyboard Ultimate Buyers Guide we’ll go over the best Roland Keyboards in a variety of different categories. Since its inception in 1972, Roland has continually resided on the cutting edge of electronic music equipment. From digital pianos to samplers, synthesizers to beat machines, Roland consistently provides novice and professional musicians alike with incredible instruments to help realize any sonic idea. With so many options of digital pianos and keyboards available, we’ll take a look at some of the very best options from Roland’s line. We’ll check out Roland’s digital piano and keyboard learning app “Roland Piano Partner 2 Version 2.0,” and see how the intuitive app makes both learning to play piano and improving your piano playing skills easy and fun! Lastly, whichever Roland digital piano or keyboard you choose, you’ll have access to an incredible online community of touring professionals, teachers, students, and music specialists to help learning to master your Roland instrument a breeze. We’ll break down exactly what the “Roland Community” can do for you! Don’t be fooled; despite its size (and very affordable price tag), Roland’s entry level keyboard offers a portable, 61-key design, with full-size, touch sensitive keys, exceptional piano sounds with 128-voice polyphony, and Bluetooth connectivity which, when used with your smart phone or tablet, allows access to a limitless amount of songs and lessons to help learn how to play piano faster, making it the very best Roland keyboard for beginners. In addition to its smart phone capabilities, the GO-61PC also has a host of onboard learning features, easily accessible via the piano’s front-panel controls. Perfect your timing with an included metronome, play around with pitch control, or hone your song writing skills with the onboard recorder. The GO-61PC does it all! With its compact size and rugged construction, the GO-61PC is also the perfect travel keyboard. Whether you’re a touring professional looking to have something to play on in between gigs or an avid-traveler looking to capture your muse, this keyboard is an excellent instrument that’s small on space and big on sound. Wireless operation with battery power, Play anywhere! As far as live performance keyboards go, the Roland RD-2000 is easily the most impressive instrument Roland offers. 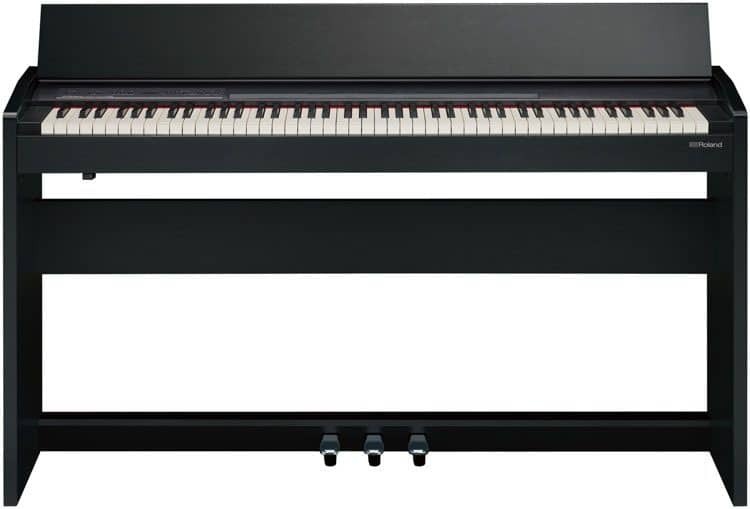 With its dual-engine configuration, one exclusively for acoustic sounds and the other dedicated for electronic sounds, stunning samples of classic keyboard sounds, professional, grand-piano action and feel, assignable keys and zones, and a plethora of connectivity options, the RD-2000 is the perfect keyboard for gigging piano players. The RD-2000 is incredibly customizable, with complete control of pitch, tone, attack, and sustain of individual notes! Turn your RD-2000 into an instrument that is wholly you, down to each note on the keyboard! When paired with Roland’s matching keyboard stand and expression foot pedal, the RD-2000 becomes the ultimate live keyboard. Rest easy performing knowing that you’re playing the best! Do you yearn for a grand piano sound but don’t have the room for one? Then Roland’s F-140R is for you! With it’s compact (yet classic) design, a suite of acclaimed Roland piano sounds, high-quality speakers, headphone jack, and USB and Bluetooth connectivity, the F-140R is the best digital piano for your home. Take advantage of the F-140R’s onboard rhythm function and play along with 72 different types of rhythm styles. Make learning piano fun and perfect your timing and live-performance abilities by playing along with a rock, reggae, or many other backing tracks. Way more fun than playing along with that boring old metronome! Connect to a computer via USB output or to your mobile device with the F-140R’s Bluetooth connectivity and access limitless songs, lessons, and materials to help improve your playing! While it can be argued that the aforementioned Roland GO-61PC would fit well here, Roland’s FP-30, with its impressive and realistic sounds, portability, and features, makes it the best digital piano on a budget. With its small footprint, you can set up the FP-30 in your home, use it in live applications, or take with you to a piano lesson. The FP-30 is Roland’s “do it all” instrument of choice! The FP-30 utilizes Roland’s “SuperNATURAL” piano sound engine to produce authentic acoustic sounds. Roland has been perfecting its sound algorithms for decades now, and both the acoustic piano and non-acoustic piano sounds are no exception. A powerful amplifier and stereo speakers produces incredible sound while the headphone output and quiet keys enable you to play anywhere, anytime, without disturbing anyone around you. Bluetooth connectivity allows you to utilize your mobile devices, the USB output links you to your computer and other peripherals, and the onboard recorder helps you capture all your amazing musical ideas whenever your muse strikes! Roland’s top of the line MIDI controller offers both exceptional value and creativity with 61 touch-sensitive keys with channel aftertouch, assignable knobs, sliders, and buttons, dynamic pads, pitch bending, USB power, and intuitive connectivity for seamless integration with your DAW. With a well backlit LCD screen and bright buttons, the A-800PRO stands out on dark stages or in studio environments. Each of the A-800PRO’s knobs, faders, expression pads, switches, and buttons are ergonomically designed and situated to make accessing them a breeze. From the ground up, the A-800PRO is an incredibly easy instrument to play! Roland’s do-it-all MIDI controller is the company’s best yet, especially when paid with Cakewalk software. At home on the stage or in your home studio, the A-800PRO is Roland’s best MIDI controller. Touch sensitive, velocity enhanced keys that capture the intricacies of your playing style. Roland’s companion app for your digital piano or keyboard makes learning piano and honing your piano playing skills a fun and immersive experience, no matter where you are! The Roland Piano Partner 2 Version 2.0 is quite possible one of the greatest apps to learn how to play the piano on the market today! Access your piano’s internal music collection with “Songs” and “DigiScore,” or become a more proficient player with “Rhythm” and “Flash Card.” Piano Partner 2 also functions as a remote-control interface between you Roland digital piano and mobile device. Track your progress with the “Recorder” and “Diary” functions and identify areas of improvement, evaluate your performances, and keep tabs on how good a piano player you’re becoming! The app also allows you to share your progress with other users to make learning how to play piano a collaborative effort! Songs – Access your built-in songs and onboard song library on your Roland Digital Piano. DigiScore Lite – See the music notation of your onboard song library. Rhythm – Improve your timing and live performance while playing along with different music styles. Choose to play with an ensemble of instruments, or with a drum track only. Flash Card – An interactive game that focuses on developing music reading skills and note identification. Remote Controller – Access your Roland digital piano functions directly from your mobile device. Recorder – Record your musical performances directly to your mobile device. Especially useful with your Roland piano doesn’t have an onboard recorder. Diary – Review your ongoing practice sessions and song lists. 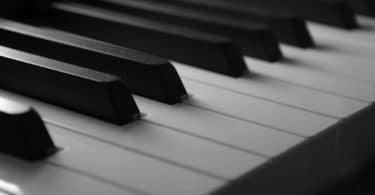 This function also provides statistics on your practice sessions which provides excellent insights into your piano playing progress. Connect with other Roland users across multiple social media platforms. From Twitter to Facebook, Instagram to YouTube, interact and communicate with Roland users across the globe! As you can see, from professional grade products to cutting-edge educational music apps, Roland is a top-choice among touring pros and amateurs alike. 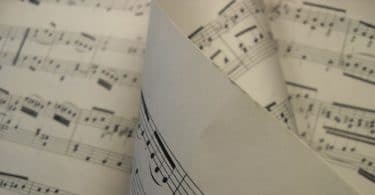 When you consider the bevy of community resources Roland also provides, you’d be hard pressed to consider another brand of digital piano or keyboard. Roland consistently delivers quality musical instruments that enable you to unleash your creative potential. No matter which keyboard you choose from our Roland Ultimate Buyer’s Guide, you’ll be getting a top-notch instrument. Happy choosing!